Rising Tides IPTV live sports Kodi addon allows you to enjoy all your favorite live sports matches and games in excellent quality. One of the few Kodi addons that is updated daily, you’ll find just about everything sports related on Rising Tides. Sports lovers can easily find AceStream live events to live football, Cricket, Boxing, Golf, Motorsports, and much more. Rising Tides is a new third-party Kodi Addon from the Rising Tides repository, allowing you to watch live sports on hundreds of international TV channels. You may ask how to get Rising Tides sports addon on Kodi? By following the advanced tutorial directly below you’ll be watching your game or match in a flash. If needing a bit more instruction, look farther down the page where you’ll find a more detailed guide on how to install Rising Tides Kodi Addon. 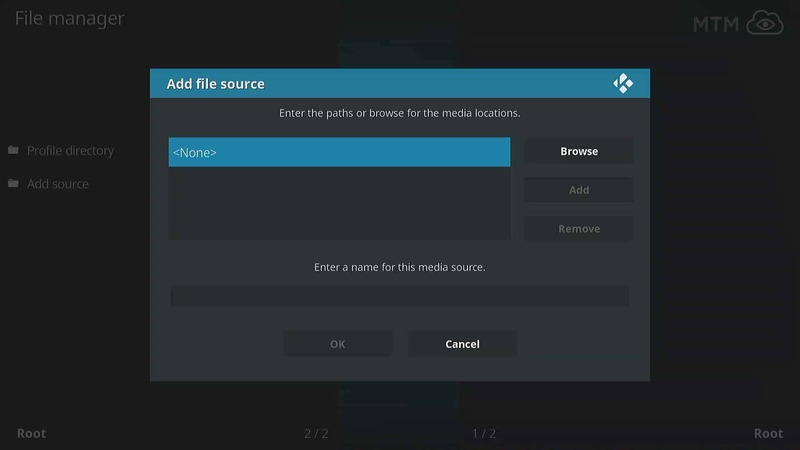 If an experienced Kodi user, you’ve probably already enabled unknown sources in Kodi 17 or later. If newer to Kodi and want to watch live sports on Rising Tides, you’ll have to take a moment to enable unknown sources on Kodi. Follow the speedy steps below if you’re experienced at installing Kodi third-party add-ons. Scroll down the page for the detailed tutorial. Go to Kodi > home screen > System > File Manager > Add Source > <None>. Enter http://lazykodi.com > click OK > name source lazy > press OK.
Kodi menu > Addons > Add-ons browser > Install from zip file. Navigate to Repo then click repository.Rising.Tides-0.4.zip. Click Install from Repository > Rising Tides Repo > Video Add-ons > Rising Tides > Install. You must enable unknown sources before installation, as mentioned earlier. If you do not make this important security setting shift you won’t be permitted to install Rising Tides third-party Kodi addon. Enabling unknown sources is required if you are using Kodi v17 Krypton or newer. This security warning is intended to bring awareness of the risks of streaming with Kodi third-party add-ons. It’s always a good idea to have your VPN on no matter what you’re doing online besides watching live sports to secure your personal information and privacy. From the Kodi home screen, click on the System cog icon , in the top menu. Next, select File Manager at the bottom. Then click on Add source In the left column. Enter the following link http://lazykodi.com and hit OK.
Name it lazy now and then click OK.
Circle back to the Kodi home screen and select Add-ons. Click on the Add-ons browser icon in the top left corner. Next, select Install from zip file. Choose lazy and then OK.
Now select repository Rising.Tides-0.4.zip and click OK to install it. Wait until you see a notification informing you that the Rising Tides Repo installed properly. Head to the Addons browser, and select Install From Repository. Choose Rising Tides Repository to open it. Enter the Video Addons of the repo. Select Rising Tides and hit install. Wait until you see the addon enabled notification. Once back at the Kodi home screen, select the addons tab and you’ll see all the video addons you’ve installed. Open Rising Tides Kodi Addon and explore and enjoy some live sporting events! If seeking good free live sports alternatives to cable, give Rising Tides Kodi addon a try. Please be aware that some of the content found available online for free by the Rising Tides scrapers appears not to have been properly licensed for distribution by those making the streams available. If uncertain regarding the laws in your area, be sure to look into this. Also, always protect yourself from complications with an encrypted VPN when streaming online.